This fresh and stylish gift of white lilies will delight and impress. (Please keep away from cats!) The gorgeous scent of the oriental lily is always a favourite. 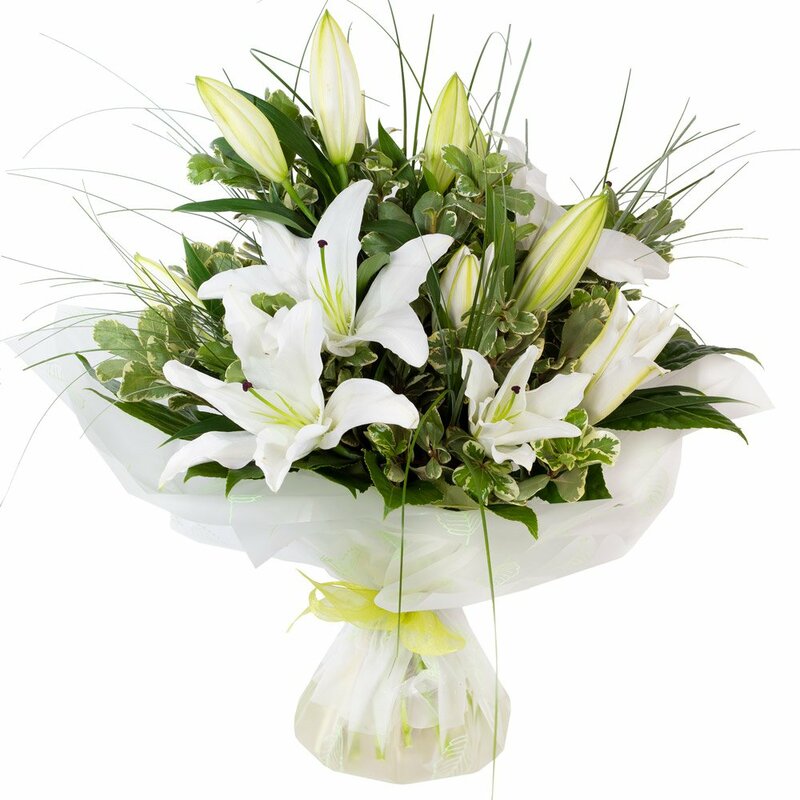 Hand tied and beautifully presented and delivered in a display box containing water. A gift for any occassion hand made and delivered in and around Hereford by Hillmans Florist.